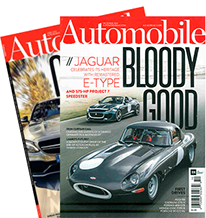 New production and concept cars dominate auto shows, but most such expositions feature competition cars sprinkled across the convention-center floor. 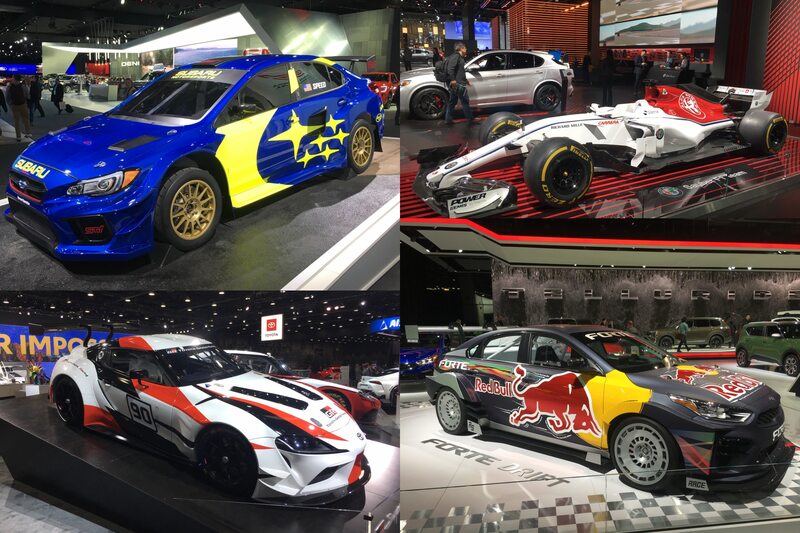 The 2019 Detroit International Auto Show was no different, with multiple racing categories represented by some of the coolest machines from around the globe. We rounded up the group so you don’t have to wonder if you missed any of them. 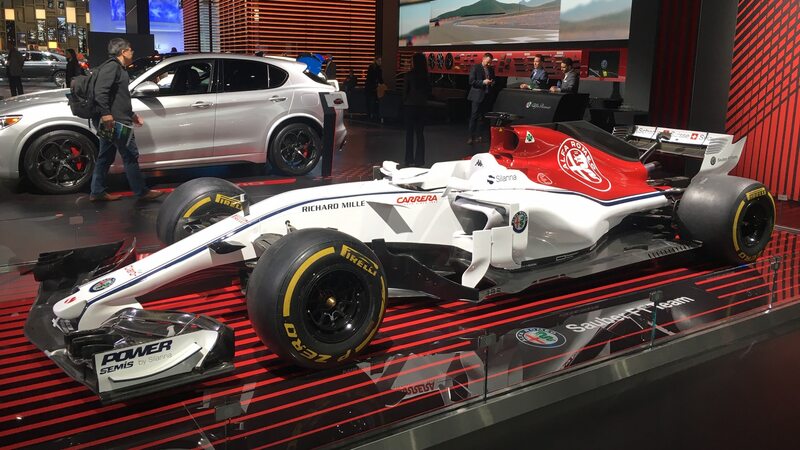 The 2018 Formula 1 season was the first in which the Sauber team featured Alfa Romeo livery, but in Detroit on the Alfa stand you’ll find a previous, halo-less model dressed up in the present color scheme. Seeing F1 cars in person always reminds us just how compact the world’s quickest road-racing machines are. 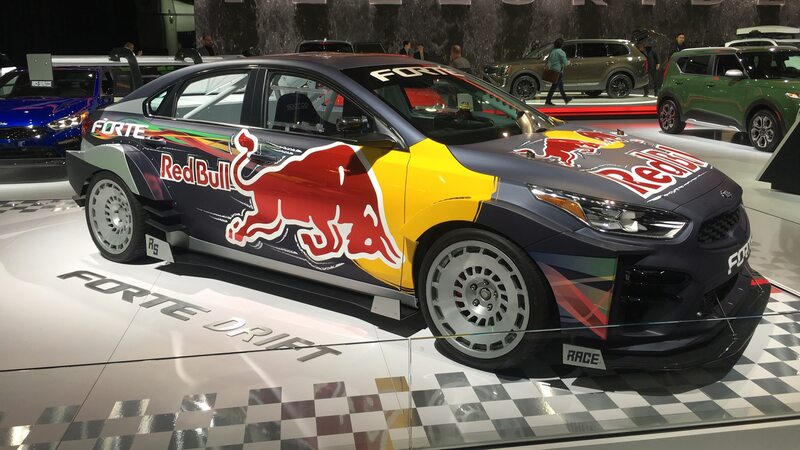 Developed in partnership with Red Bull and Race Service, this drifting Forte stars in Kia’s current television advertising campaign. Featuring the production Stinger GT’s twin-turbo V-6—in longitudinal arrangement rather than the Forte’s usual transverse setup—the 375-hp, rear-drive drifter started as a production front-drive Forte EX but features a six-speed sequential gearbox, quick-change rear differential, and a hybrid drift/grip suspension. Nissan didn’t fare so well in Le Mans competition a few years ago, but it should do much better in the ABB FIA Formula E series. The Gen 2 FE racer, built with the same Spark chassis as all FE cars, features a Nissan electric drivetrain. 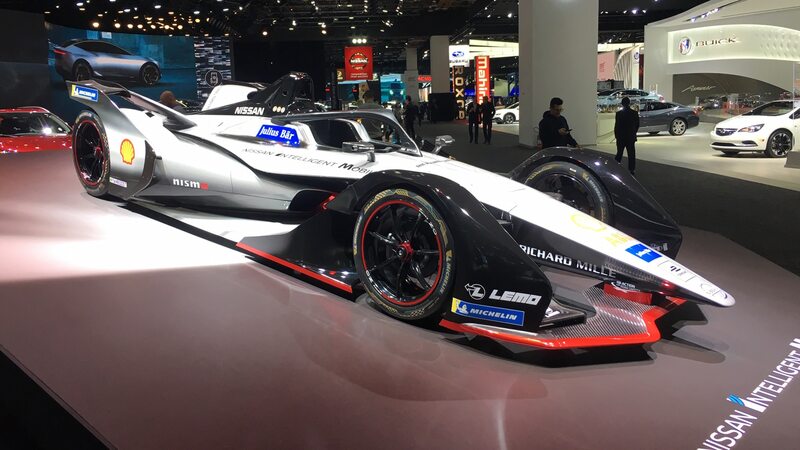 Power increases this season for all Formula E cars from 200 to 250 kW, and the championship’s battery tech is now good for entire race distances, whereas previous seasons required drivers to swap cars mid-race. 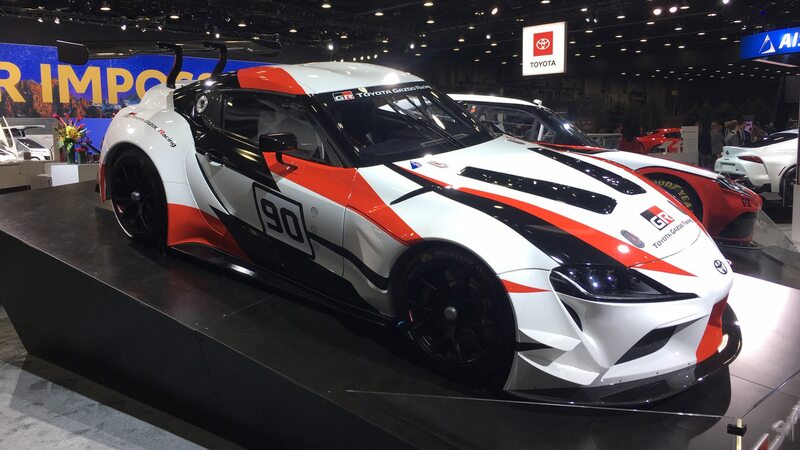 The production 2020 Supra was one of the big reveals in Detroit, but we’re excited to see a GT-racing version in action soon in Japan’s Super GT series—and hopefully elsewhere, though we hear Toyota has no plans to run it in the U.S.-based IMSA WeatherTech SportsCar Championship. Yes, yes, we know. What the hell kind of Supra is this? 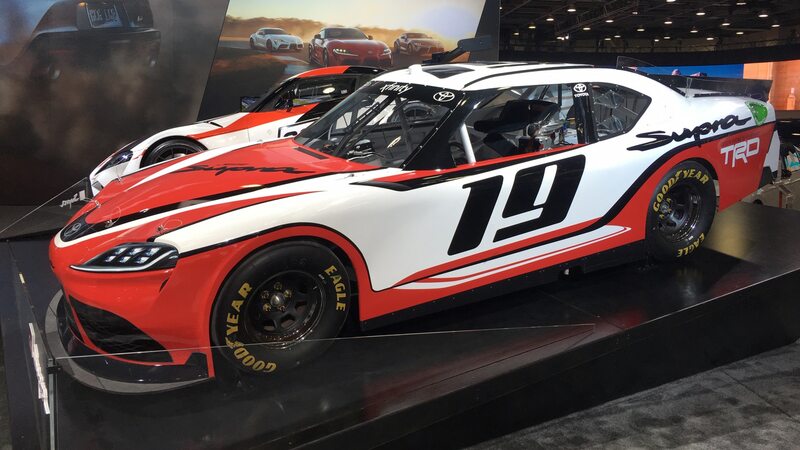 It bears little to nothing in common with the production model, but hey, welcome to NASCAR, where this Supra “stock car” will compete in the sanctioning body’s second-tier Xfinity Series beginning this season. 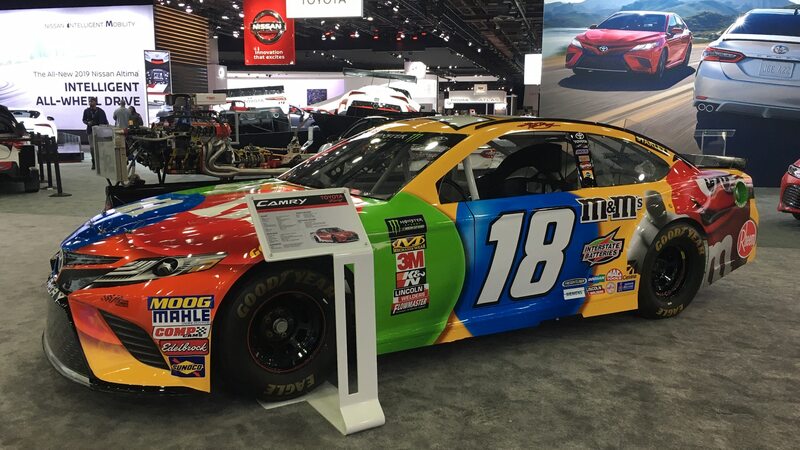 This is the 2018 edition of Toyota’s Monster Energy Cup Series NASCAR entry, driven by Joe Gibbs Racing star Kyle Busch, who finished fourth in the standings with seven wins. 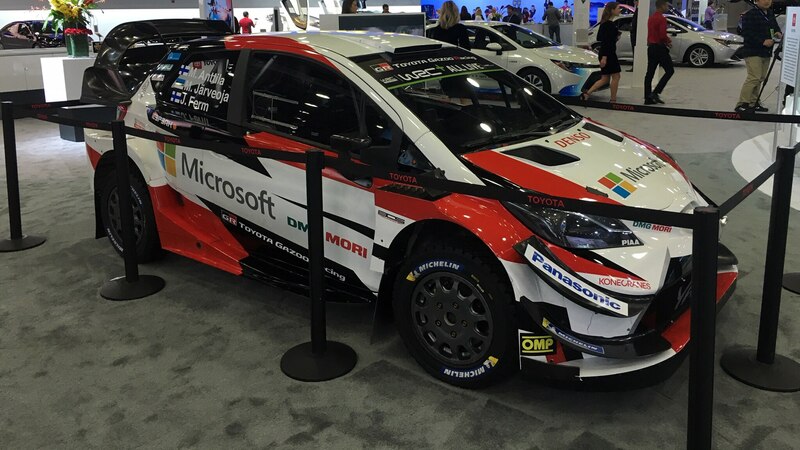 Debuting for the 2017 season, this is Toyota’s first FIA World Rally Championship machine since the manufacturer last competed in the sport in 1999. It so far has claimed seven rally wins, five of those coming in 2018 when Toyota used it to take home the WRC constructors’ championship title. 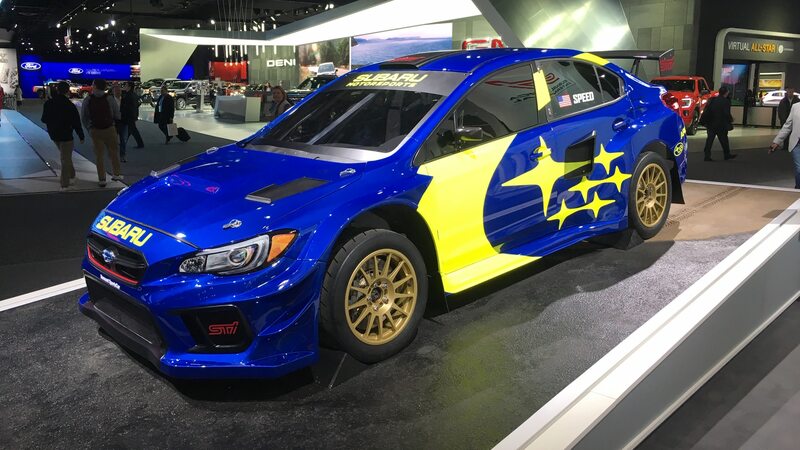 Subaru’s latest Rallycross creation features a famous livery (sans tobacco branding), 600 horsepower from its 2.0-liter turbo boxer-four engine, a custom suspension and bodywork, and accelerates from zero to 60 mph in less than three seconds. Also new for 2019 is ex-F1 driver and defending Rallycross champion Scott Speed, who joins Subaru Rally Team USA drivers Patrik Sandell and Chris Atkinson. 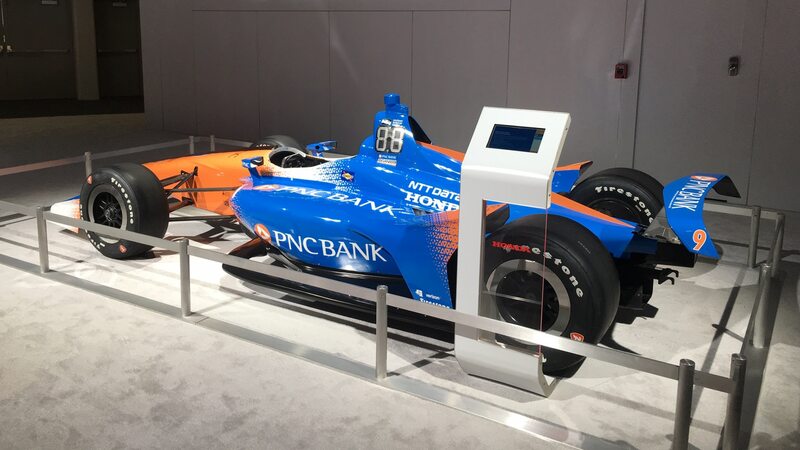 This is the same car that won the 2018 Indianapolis 500 with Australian IndyCar star Will Power at the wheel. His victory in the May classic gave famous team owner Roger Penske his 17th win in the Greatest Spectacle in Racing. 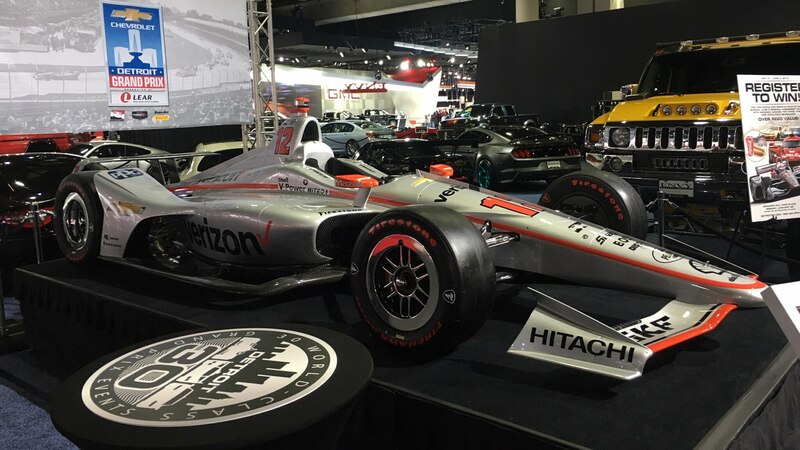 It’s on hand at the Detroit show to promote the 2019 running of the Detroit Grand Prix, scheduled for May 31 through June 2 on Detroit’s Belle Isle. If you’re familiar with the IndyCar Series—newly sponsored by NTT rather than Verizon—then you know Scott Dixon is one of the greatest IndyCar racers of all time. Using his Chip Ganassi Racing Dallara-Chevrolet, he won three races in 2018 on his way to claiming his record-tying fifth IndyCar drivers’ championship. With 44 career victories, Dixon is third on IndyCar’s all-time wins list behind A.J. Foyt (67) and Mario Andretti (52). 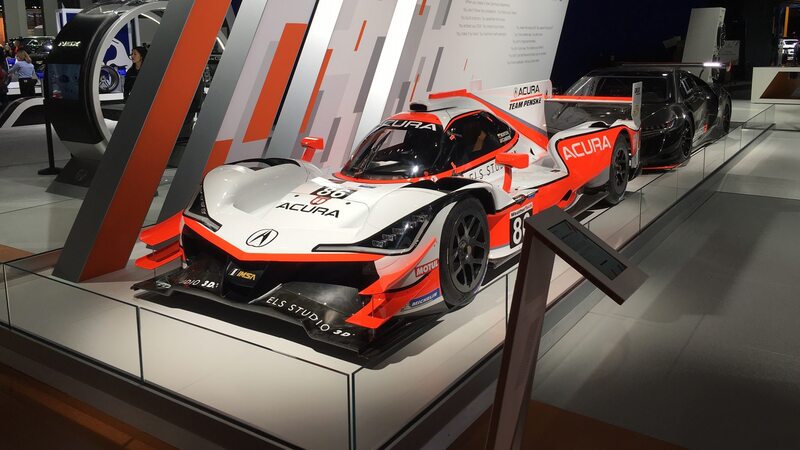 Acura returned to prototype racing competition in 2018, partnering with Team Penske to run two cars in the IMSA WeatherTech SportsCar Championship. The ORECA-based chassis features a 3.5-liter twin-turbo V-6 behind the drivers, in this case Juan Pablo Montoya and Dane Cameron. The other car was driven last year by Helio Castroneves and Ricky Taylor, who won at Mid-Ohio, with Montoya and Cameron recording four podium finishes. Want to go racing? Love the production NSX? Then here’s your steed. For about $525,000—exact pricing will be determined when you write the check—you, too, can drive this twin-turbo V-6–powered GT3 race car in various series throughout the world—presuming you have the necessary competition license. 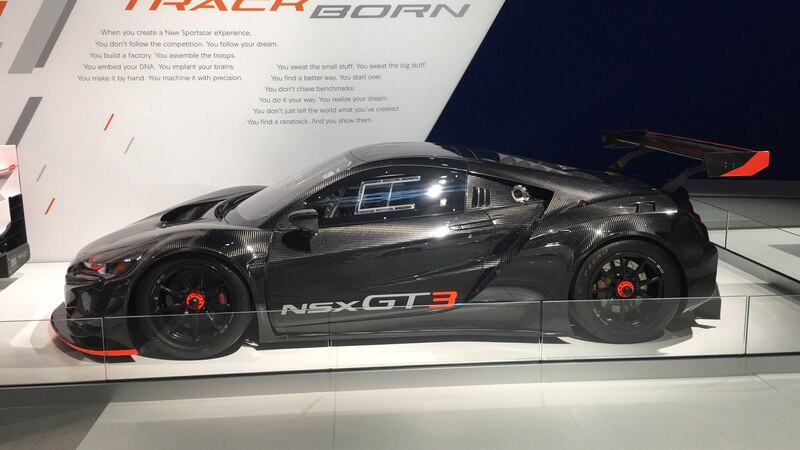 Actually, not quite this version, as for the 2019 season Acura has updated the car seen here and called it the “NSX GT3 Evo.” This mid-engine contender is already a proven winner in America, boasting victories in IMSA competition as well as in the Pirelli World Challenge.